You don’t really think much about the roof over your head until it leaks! Learn the signs of a failing roof so you don’t end up in an emergency situation with water damage and a hefty price tag. 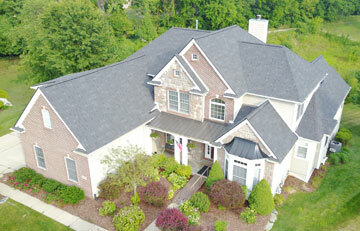 If your roof is 12 to 15 years old you should make it a yearly routine to check in the attic. Use a flashlight and check for stains and streaks on the wood. Also, do a visual inspection to check for any beams of light coming through the roof. Review the records of your home and roof. If the roof was installed more than 20 to 25 years ago, it’s probably due for replacement. Check the exterior of the roof also. Visually inspect to see if the shingles are lying flat, if they are missing, cracked, buckling or damaged. Another sign of an aging roof is shingle granules in the gutters and/or downspouts. Examine the flashings (which seal the seams) around the vents, chimney, and skylights. Also check for any breaks or cracks around these areas. Look at the exterior of the roof noting any rotten roof boards that might be sagging and drooping. This could be caused by improper ventilation, especially in the lowest points of the roof. Check for the growth of moss (as well as for fungus and mold) which can be caused by trapped moisture and can ruin a roof. Lastly, make sure all gutters and downspouts are attached securely and are free of debris. Inspect all bath, kitchen and dryer vents to insure that they are vented entirely through the roof to the outside and not just into the space in the attic. 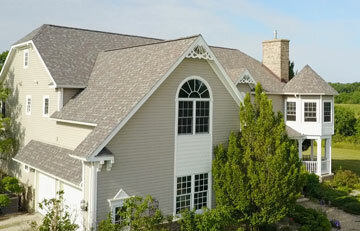 Some concerns can be corrected without entirely replacing your roof if you are proactive with maintenance. Call us at Roofman at 734-662-3300 and we can help you decide if this is a repair or a replacement project and if this is something that needs your attention now or if it can wait a year or two. Your roof is what protects your family from the snow, sun, lightening and rain; you want it in excellent condition and have it stay that way for years to come.